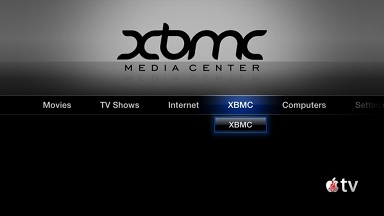 Hey folks we recently posted that XMBC for Apple TV 2G,iPad,iPhone4 is released. It is the media device for their iDevices. The following HOW-TO requires you to have Jailbroken ATV2 iOS 4.1 or iOS 4.2.1. If you got MAC so it is very easy to Jailbreak your Apple TV 2G by using Seas0npass. For Windows users they can use Sn0wbreeze to make a custom Firmware and Jailbreak their Apple TV 2G. Jailbreak your Apple TV 2G by using Seas0npass. Use alpine as your password. (That’s the default password; if you’ve changed it, use whatever you changed it to.) Use your Apple TV’s local IP address for the SSH connection if Apple TV2G local doesn’t work. Once you are done with the SHSH so paste this code. After XBMC is succesfully installed, frontrow(ATV2 home screen) will restart and you will see XBMC in it.